OptionsHouse in an online discount broker which offers investors a wide range of products and services at competitive prices. I first knew the broker in April, then opened an account for myself in June (a $1,000 account minimum is required) and made a couple of trades. The reason I wanted to trade with OptionsHouse was that at $2.95 per trade for stocks, it charges the lowest commission among brokers I am currently using. Then, after getting my own account, I was also very impressed by their web-based trading platform. Though OptionsHouse has been around for a couple of years already, it’s still relatively new to many people. Here on this blog, I also have talked about the broker quite often, mostly from the perspective of my personal experience, but I think it’s better to have a comprehensive introduction of OptionsHouse to readers who are not yet familiar with it so they can have a better idea about the broker and what it offers. With the help from Shannon Paul at PEAK6, I recently had an opportunity to have an interview with OptionsHouse CEO George Ruhana to discuss the firm’s products and services and its recently pricing change. Q: To many investors, OptionsHouse is still quite new. Can you give us an introduction of the firm and its products and services? The name may suggest that OptionsHouse is a place for people to trade options. That’s not the case obviously. A: OptionsHouse will celebrate its 3rd anniversary of being open to the public in January. It is a wholly owned subsidiary of PEAK6 Investments, L.P., which is one of the largest proprietary options trading firms in the United States*. OptionsHouse offers its customers a platform mainly for stock and options trading. We offer tools that help people find options based trading ideas, evaluate risk of either a single trade or a whole portfolio, and the ability to research stocks from either a fundamental or technical point of view. Execution is fast** and the platform is customized for ease of use of our customers. We also offer a fully functional virtual trading environment to let people practice before they use real money for strategies. OptionsHouse has recently released a full featured mobile trading platform as well. Q: What are the distinctive advantages of OptionsHouse? A: OptionsHouse has advantages because of its roots with PEAK6. We leveraged the years of building proprietary trading platforms to design the options chain and execution format. Because we did not have to start from scratch, we have the luxury of charging some of the best rates in the business. There is a lot of infrastructure that we use from PEAK6, rather than having to build or buy from somewhere else. Q: Who’s the targeted audience of OptionsHouse? A: OptionsHouse targets active retail traders. On average, our customers place 100 trades per year. Their trades are much more options based than a typical retail brokerage. Because our rates for larger trades are competitive, we have average trade sizes and account balances much above the typical retail firm. Stock traders also find us easy to use, but the base skews more towards options because of that functionality. Q: At $2.95 per trade, OptionsHouse is cheap compared with other discount brokers. How can OptionsHouse keep its trading cost low? Again, we did not start from scratch. When you set out to build a web based brokerage platform, it helps to be able to do so with things like data feeds, back office expertise, trading platform design, and execution capabilities already available to you. We tailored things to the retail base rather than recreating the wheel. Our customers have the advantage of getting that experience at a discount. Q: People hate bait and switch, as it happened to other brokers before. Does OptionsHouse plan to keep its commission at the current level? A: No one can predict the future or how the market will change. However, at this time there are no plans to modify the pricing structure again in the near future. Remember, we kept our pricing consistent (except for lowering both spread and stock pricing) for almost 3 years. It is not like we have a track record of doing this all the time. We recently had changed our rates for a couple of reasons: first, we want to be the best overall value of product and price for all customers, and we think the added flexibility of multi-tier pricing allows us to do that. Many existing customers are getting a price cut with this plan at OH. Secondly, payment for order flow rates declined significantly this year, which made some high volume trades money losers for us without the change in structure. We had to make our pricing realistic long term with the new market realities. Q: Is it easy to open an account with OptionsHouse? Is any paperwork required? A: Simply go to www.optionhouse.com and click on the “open an account” located on the top right hand side of the page. From there you simply choose which type account suites your needs, be it an IRA, Margin or a Joint account. Once you’ve chosen the type of account, you enter your information as prompted and finalize the application by printing the agreement, signing and sending it in. If you are not able to print it, OptionsHouse will send the agreement to you so you can sign and send back. It’s that simple. If you need help, you always have to capability of calling, emailing or chatting live with one of our customer service members who will walk you through the steps in getting you signed up. Q: OptionsHouse recently updated its pricing for options trading. Can you explain the new policy to us? A: Customers have the flexibility to choose the plan that best suits their trading style and strategy. There are no trade frequency, trade size or account asset minimums. Customers have the ability to change their rate plan once per day. One plan caters to customers who generally trade less than 10 option contracts per ticket called “5 for $5″. With our up to 5 for $5 rate, customers actually pay 50% less than with the previous flat-rate commission schedule for trades with 5 contracts or less. Single-leg trades will be $5.00 for up to 5 contracts. Spread trades, up to 10 contracts, will be priced at $10.00. The per-contract charge, for additional contracts is only $1.00. The second plan is more for the customer who generally trades more than 10 contracts per ticket. In this plan, single-leg trades are $8.50, plus 15 cents per contract. Spread trades are $12.50 plus 15 cents per contract. Our new structure allows OptionsHouse to continue to be the leader in the industry for larger orders. For example, at OptionsHouse 250 contracts are only $46.00 compared to $200.49 at E*Trade, $207.45 at Fidelity and $375.00 at optionsXpress. Q: Is trading with OptionsHouse safe? What security features does it have? A: Yes, we are extremely conscious of our customer’s security and trading with OptionsHouse is secure. All activity done after logging in happens over a secure SSL connection. Customer account data is stored in a protected network to safeguard access to any sensitive customer information. From an insurance perspective, OptionsHouse is a member of SIPC.3 SIPC protects against the insolvency of a brokerage firm, but does not protect against market loss. SIPC will cover the securities of customers of its members up to $500,000 of which $100,000 can be cash. Additionally, our clearing firm holds insurance above SIPC coverage of ($200,000,000 in the aggregate) over all customer accounts, subject to a maximum limit of $900,000 per customer in respect to cash. Q: Does OptionsHouse offer any free tools to educate investors and help them make better investment decisions? A: We have a whole site full of things to help people make better decisions. First, our Research Tab allows people to look up events, fundamental data, and technical analysis on all stocks. Second, our options focused tools help people judge the probability that certain strategies make or lose money, the estimated P&L of positions, searches for call spreads, put spreads, covered calls, and even sorts for stocks by different fundamental criteria. Our suite of risk management tools lets customers look over their portfolio in one place to judge overall risk. Finally, we have a library of written and video content that customers can use to educate themselves on various options trading strategies. It is a great place for people interested in options to start to get educated for FREE. They can learn about strategies and practice them in our virtual environment. Q: Will I talk to a real person when I call customer service for any questions about my account or my trade? A: OptionsHouse customer service representatives are available toll free from 7:00 am to 6:00 pm CT, Monday through Friday (except exchange holidays) to answer all of your account questions. You can reach them on the phone 877-653-2500 ext. 2, email customerservice@optionshouse.com or chat live concerning any questions you have. For trade related questions you can reach the OptionsHouse trade desk at 877-653-2500 ext. 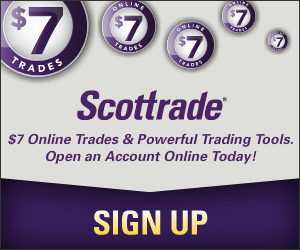 1 Monday through Friday 7:30 am to 4:00 pm CT. Also, we do not charge extra if you need to make a broker assisted trade. Q: A little personal experience. I recently had to update my mailing address, but I couldn’t find how to do it in my account online. So I called and was told that I have to either fax the update or send an email. That’s not very convenient. In fact, I find I can’t do much account maintenance in my account. Any plan for an upgrade to make it more user friendly? A: We always appreciate getting customer feedback concerning our sign up process, platform and account management. We definitely want to address this by the end of the first quarter of 2010. It is on the list of customer experience upgrades that we will be performing. Q: The brokerage industry is very crowded. How does OptionsHouse compete with other established discount brokers? Where do you see OptionsHouse in the near future? A: Even though we are considered “newer” in the brokerage space, OH brings a host of strengths with it. Our parent company, PEAK6 Investments, L.P. (“PEAK6″), is a large player in the options and stock trading businesses, and has a lot of capital available to invest in OptionsHouse. PEAK6 is not just building it to sell it. They have been in the business for over 12 years, and plan on being in the equity space for years to come. PEAK6 has expertise in the options industry that only a few firms in the world have. This is a huge advantage as options trading becomes more mainstream, and a driver of growth in the brokerage space. I think that over the next year you will see OptionsHouse expand some of its product offerings into things such as futures. We continually work on making our educational materials even more compelling for investors and considering our growth rate we will become a more every day name in the business. Q: Finally, do you have any advices for investors in this economic environment? A: I don’t think my advice for customers changes much: be disciplined, and be willing to exit a position that does not work. Understand your risks before entering a position. Before becoming CEO of OptionsHouse, I was a professional trader for 15 years. All traders, retail and professional, are going to make losing trades. There is nothing wrong with that. However, not understanding things before trading them is an easy way to lose a lot of your money. Use virtual trading and practice different trading styles to find the one that fits you as a trader. Educate yourself on the market as much as you can and take advantage of all the free educational sources out there. Well, that concludes this interview. Thanks George and Shannon for this opportunity! To find out more about the broker, go to OptionsHouse and read their FAQ section. If you are interested in getting an account, OptionsHouse is currently running a 100 commission free trade promtion for a new account before the end of the month. If you have any other questions, just leave a comment and I will pass them to OptionsHouse. *PEAK6 Capital Management LLC traders have bought and sold hundreds of millions of option contracts over the past ten years. **System response and access times may vary due to market conditions, system performance and other factors. ***Member of SIPC – which protects the securities of customers of its members up to $500,000 (including $100,000 for claims for cash). Explanatory brochure available upon request or at www.SIPC.org. As a member of the Securities Investor Protection Corporation (SIPC) funds are available to meet customer claims up to a maximum of $500,000 in cash and securities with a $100,000 cash maximum. Additionally, our clearing firm holds insurance above SIPC coverage ($200,000,000 in the aggregate) over all customer accounts, subject to a maximum limit of $900,000 per customer in respect to cash. This “insurance above SIPC coverage” protection is in addition to the protection provided by the Securities and Investors Protection Act, which is administered by SIPC and is subject to certain conditions and limitations, details of which are available upon request. Note that SIPC and insurance above SIPC coverage provides coverage against loss of securities and cash through the insolvency of a brokerage firm, not against market depreciation, fluctuation in market value of your securities or trading losses.